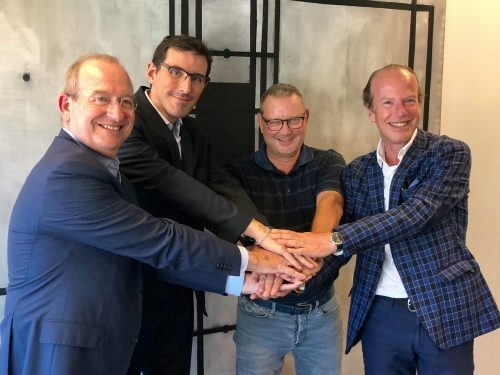 With this acquisition, Eurotainer will assume control of TML’s tank container ﬂeet and all the contractual leasing activities under TML’s management. TML is a pioneer in the tank container leasing business and one of the largest owner-managed tank container leasing company in the world. Known as “The Tank Container Leasing Specialists”, TML’s ﬂeet is made of more than 5,000 owned and managed tank containers, ranging from Standards and Specials tank containers for Liquid products, including tank containers for Liqueﬁed and Cryogenic gases. “With this acquisition, Eurotainer will strengthen its global leadership in the leasing of gas and cryogenic tank containers, focusing on its long established and recognized strategy of providing the largest specialized ﬂeet of equipment worldwide” says Eurotainer. For the last 50 years, Eurotainer has been a worldwide leader of the tank container leasing industry, servicing a wide range of customers from diverse industries. As the leader in international bulk gas and liquid transportation equipment leasing, Eurotainer offers equipment for liquids, liqueﬁed gas and cryogenic liquid gas in the most optimised, safest, state of the art equipment available. Today, the Eurotainer ﬂeet encompasses 39,000 tank containers and small portable tanks in 150 types and sizes. The company’s client base is global as is their ofﬁce network with operations in the Americas, Europe and Asia Paciﬁc.